Located near the intersection of Doolittle Dr and Marina Blvd, Extra Space Storage serves San Leandro residents near Laqua Manor, Washington Manor-Bonaire, Heron Bay, and more. Locals will recognize our facility near Shell and Dolittle Apartments a few minutes east of Garfield Elementary School. If you need an easily accessible storage unit or vehicle storage option close to the airport, we're your solution! Extra Space Storage is about 3.2 miles from the Oakland International Airport. Extra Space Storage on Doolittle Dr offers a large selection of storage units, climate-controlled storage, vehicle storage, and more! We can handle your residential or commercial storage needs in San Leandro! No matter what you need to store, our San Leandro storage facility has the space to accommodate you. We have unit sizes from 3x4 to 20x22 and features like drive-up access, indoor access, and more! With security measures like an on-site resident manager, 24-hour video surveillance, and electronic gate access, you can rest assured that your valuable belongings are well-protected at our Doolittle Dr location! We highly recommend climate-controlled storage if you plan to store delicate items. This amenity keeps your unit between 55 and 80° year round, protecting your items from California's extreme heat. Units with climate control are available in sizes 4x6 to 20x14. 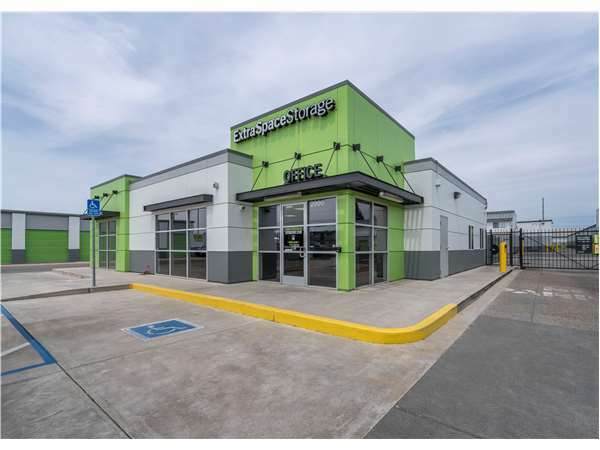 With 10x20 to 10x40 outdoor parking spaces and 10x10 to 20x22 enclosed drive-up units, Extra Space Storage can easily accommodate cars, motorcycles, boats, and RVs in San Leandro! Extra Space Storage is the self storage partner you can trust! Our storage facility is always clean, well-maintained, secure, and backed by a friendly, professional staff that's happy to help with whatever you need. We want your experience with us to be excellent! Contact us today to reserve a storage unit in San Leandro! If you want an easy, seamless, affordable, accessible storage unit,try extra space storage. Book online! 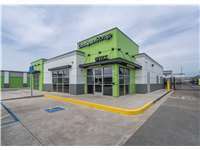 Clean, secure, location easy off 880 at Marina exit onto Doolittle, staff is excellent! There are always move in Specials that are a great perk! Very friendly staff, well kept up and as a woman you don't feel nervous going there after dark alone. I know my stuff that is precious to me is safe. Easy access, friendly staff, great location and convenient. Though my first day of moving in my stuff was a bit time consuming due to the trouble with the storage door, I would still recommend this place, for the staff are easily reached and respectful. If you are still looking for a storage unit look now further! Extra Space is by far the best. Based on my experience and the horror stories I have heard regarding other storage facilities-extra space storage is the only storage unit to consider. Great Customer Service , Very Clean Facility, Convenient Hours. Awesome customer service, great customer service. Staff very helpful and offered different options that best fit my situation. Easy, fast signing up process, friendly and helpful employees, and very convenient hours of access. What more could you ask for? I definitely recommend Extra Space to anyone who asks! Great space at a great price. Right off freeway and convenient. If your looking for consistency in ongoing positive communications' experience in Customer Service, this is one company that will prove to fit this picture. Great staff. Very kind and helpful. Clean ,well kept property. Great renting with this facility. Staff was great to work with and helpful. The facility was kept clean. I moved further away and wanted my unit close by but would not hesitate to rent with them again. Honestly, the woman I dealt with while I was renting my unit was so dang kind and pleasant to work with that I felt inspired to take this survey despite having almost never done this for other companies. Moving is a stressful situation to be in, and the staff here was just so nice and attentive and thorough and I really appreciated that. It could not have been easier to get set up. I was overwhelmed with the thought of putting stuff into storage but Extra Space made it a lot less stressful. I can't thank them enough. So far so good! The facility is very clean and the storage unit is very roomy. The Customer service representative was very informative as well. Brand new facility. with easy access to the major freeway and main streets of San Leandro. wide array of available storage options. and what i needed was not available at first, but the employees did get me what i needed and i moved in right at the first of the month when i needed too. This place great to put your things in. It's wide, clean and very safe. I really like this place. The facility is secure and clean. Customer service is excellent. When there was a problem with the storage, They fixed and resolved the problem. I am from Hawai'i, and I go to college in Oakland. Last year was my first time using a storage space, so naturally I asked a lot of questions. The lady that was helping me was awesome. She answered all of my questions and did not get frustrated with me at all. She helped me find the best rate for the storage size I wanted. On the day I was moving in I'm not sure what happened, but I think they didn't have the storage I put on hold available, so they ended up giving me another storage space on ground level that I could easily drive up to. Though it was different dimensions then my original storage space I put on hold, it still fit everything I wanted to store and it had great accessibility. I highly recommend this facility. The assistant manager -- Kevin Miller was very friendly, knowledgeable, and made the process of storing my extra teaching supplies pleasant. The facility looks brand new!! It is very clean, well light and I feel very comfortable leaving my items there. From day one I did not like how the facilities looked but coming from out of town I had to return the truck so I had no choice. The doors look like they are about to fall off and I'm always in fear my stuff will come up missing. It's so hot inside and the floors feel like you are going to fall through. It seems like every about 3 months they raise the fee $10.. soooooooo not worth it. They recently remodeled the office part which was badly in need but what about the overall facility which house people's belongings? In my opinion they need to knock it all down and start over. We won't even discuss the bathroom, it's public so I guess you can expect that but geesh.. yes its time to find a new facility! I recently moved to the area and needed to store some important items on a short term basis. They staff here was great and helped me with everything from the size of the unit to the lock. It was also outstanding to find they have an elevator for my items so I did not have to kill myself moving multiple loads up stairs. When I did get to the top a dolly was already there making the move and storing easy. I would recommend to anyone looking for storage. i have expressed to others who are looking to rent spaces and i referr them to you because your prices are reasonable. If anyone believes on first impression last, this facility has that. We've canvassed 3 other facilities before deciding to choose this & we think, we got the right one. Staff are friendly, clean facility, easy access from freeway, 2-3 minutes away from home center which help us a lot for buying parts. That is if we got no parts available in our inventory, easy to drop-by & purchase materials needed for our projects. Likewise, various food chain to choose around the area where we used when coming out from this storage place. enough space for what I need. great location. opens late. Very clean & bright. It didn't have a dreary dungeon feel. The employees are very helpful. My check in went really quickly and smoothly. The staff is friendly and the storage unit is great. It was great that I got to choose where I was really wanting the storage to be with the affordable price. I was pleased with the price, the size of the storage and easy access to the storage. It is great that I found this place a lot sooner, and got the storage i needed most at the time. Everyone that I've dealt with is friendly and helpful, prices are better than comparable nearby facilities, and conveniently located! any time i need help with my storage customer service was there to help. Good rates and very good customer service. Worked with me to get the space I needed with no hassle. We had no troubles with this storage facility. We were able to reserve on-line, change the type of unit on location and still get the on-line price. The only thing I would suggest is being sure you have reviewed all the unit types by internet, and have written down any ones you are interested in. When we changed, we changed to the one he showed us, but in fact there was one considerably larger that cost only slight more that I would have taken had I known it was an option. Would be a good idea to print out all options before arriving on location. On Friday 11-11-11 I stop by your facility and was met my Ryan the store manager that was very professional and courteous. When I ask to look at some units, he want to take to golf cart but I want to walk so we walk around the property. The units he showed me were all very clean, it was just up to me to chooose one of them. Ryan answers all my questions. before I left he made a reservation free of charge for me. I came back on the next day with my items to move in and Jerry help with my contract. My help had to leave so I ask if someone could open the unit while I finish the contract. So Megan stepped in to help finish the contract while Jerry when and open the unit for my help to empty my truck. My daughter and I was very impressed with customer service we received and the cleanliness of the facility and storage unit. Extrac Space has an AWESOME team of sales people working at the Doolittle Dr. store. The management team is so helpful and responsive here. My sibs and I each have storage units, and we have referred others. The location is very convenient, too! Fair price for storage space. Well maintained facility. Friendly customer service. I have been with this location over a year now and have only checked on my items a few times since I feel secure. Easy to get in & out, very clean. Never any questionable surroundings that I have been concerned about as a single female - but if you are, an outside space is preferred. Take 880 (South) and exit Marina Blvd West. As you exit you will notice a Kaiser Hospital and Marina shopping center. Continue straight on Marina Blvd West approximately 0.9 miles and take a right onto Doolittle Drive. As you make the right onto Doolittle Drive you will notice that we are next to a Shell Gas Station. As you pull into the lot, customer parking will be on the left hand side. Take 880 (North) and exit Marina Blvd West. As you exit you will notice a Kaiser Hospital and Marina shopping center. Continue straight on Marina Blvd West approximately 0.9 miles and take a right onto Doolittle Drive. As you make the right onto Doolittle Drive you will notice that we are next to a Shell Gas Station. As you pull into the lot, customer parking will be on the left hand side. Take the 580 West towards Oakland and continue onto 238 North. Take exit 16B - 17 B on the left for 880 North. Exit Marina Blvd West. As you exit you will notice a Kaiser Hospital and Marina shopping center. Continue straight on Marina Blvd West approximately 0.9 miles and take a right onto Doolittle Drive. As you make the right onto Doolittle Drive you will notice that we are next to a Shell Gas Station. As you pull into the lot, customer parking will be on the left hand side. Take the 580 East/ I-80 W. Take the exit 8B on the left toward Alameda/San Jose. Continue onto 880 South. Exit Marina Blvd West. As you exit you will notice a Kaiser Hospital and Marina shopping center. Continue straight on Marina Blvd West approximately 0.9 miles and take a right onto Doolittle Drive. As you make the right onto Doolittle Drive you will notice that we are next to a Shell Gas Station. As you pull into the lot, customer parking will be on the left hand side.